Great food, lovely staff and good service. We will definitely be back. Great food, friendly and helpful staff. Visited there twice and enjoyed it both times. Highly recommend. Came for mother’s day and there was a set menu but my mum had her hopes set on getting her favourite pasta, the staff were more than accommodating and made meals for the three of us that weren’t on the set menu and it was delicious! We had a great night celebrating Mothers Day on the Saturday  night. Staff were lovely and the food was fantastic. Lovely meal. Very pleasant staff. Delicious food all served with great service from staff. Amazing and staff are so kind. Great service and the food was lovely. We will definitely be back. We are a group of friends who meet up regularly for a meal together and all look forward to our visit to Rocco. It Is a 350 mile journey for me and worth travelling for the food, service and quality alone, never mind the company! Excellent and would give 6 stars if possible. Nothing was a problem especially when my dad decided.to gatecrash my lunch with my daughter lol ..he was very impressed as were.we the food service and the staff were excellent the staff made you feel like you had been going to roccas for years which we def will frm now on ..
We were very disappointed at being charged for 2 courses even though we only ate one course. this was not made clear to us. 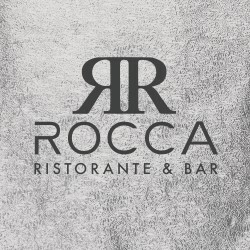 As always, a lovely meal and friendly staff at Rocca.